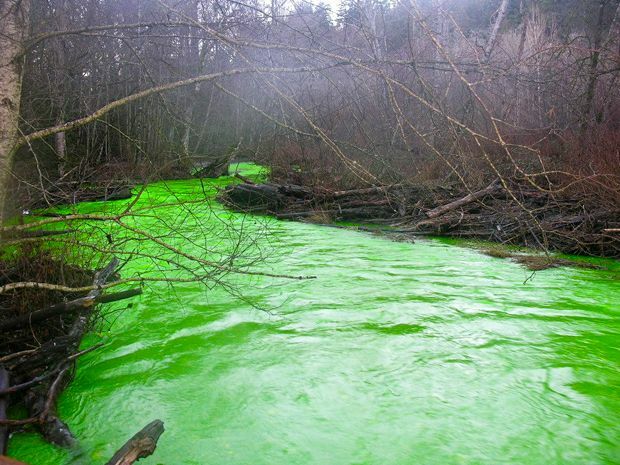 During in the late afternoon of December 29, 2010, water in the Goldstream River turned fluorescent green. The river turned green by a chemical, fluorescein. Fluorescein is a synthetic organic compound, used as a fluorescent trace for many applications, soluble in water and alcohol. The product itself and its products of degradation are not toxic, fish or fish habitat was not harmed during this incident.